Confederation College’s residence offers everything you need to make your College experience an enjoyable and safe time. Enjoy the convenience of being steps away from class with access to city wide transit, available directly on Campus. With a number of different room options, tons of awesome amenities, weekly social events and a comfortable environment, residence can quickly become the focal point of your social life at Confederation as you meet new people and create lifelong friendships. New to Confederation College are two new fully furnished, 3.5 storey (four floor) apartment style residences. Apartments include four bedrooms per unit, common kitchen and living room with LCD flat screen, cable and internet access, en suite laundry and much more. Visit: www.confederationresidence.ca for details. Sibley Hall is a community oriented, fully staffed, co-ed residence facility with availability for 229 students in two different rooming options. Rooms come fully furnished and features High Speed Internet Access and Wi-Fi throughout the entire building. Other features include: on site laundry, games hall, large activity room, ATM in lobby, 24 hours video monitoring and so much more. Visit: www.confederationresidence.ca … for more details. The staff of Sibley Hall are committed to mentoring students who make the choice to be a part of the residence community. Activities such as special events, sports, performances and excursion opportunities are provided to compliment the classroom time. 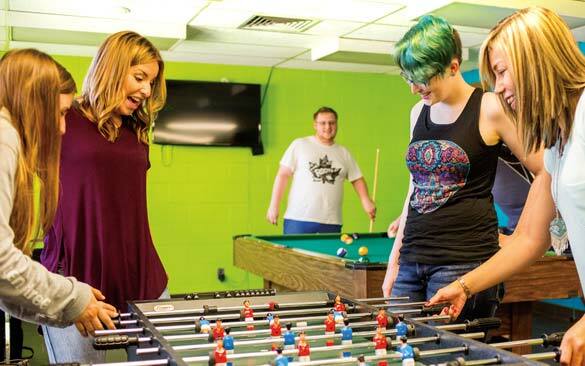 Students also have access to academic support, tutoring, regularly scheduled educational programming and information sessions on a variety of topics offered throughout the academic year. If you are interested in booking Sibley Hall during our off season (May 15 – August 15), please contact info@confederationresidence.ca.